In India, Suzuki launched it's highly publicized 150cc bike for India, the Suzuki GS 150R saying that it's been inspired from the GSX-R 1000!! 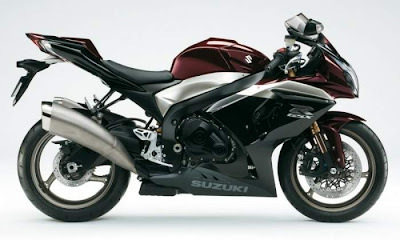 But after seeing the difference between both the machines, I couldn't stop myself from writing about the 2009 Suzuki GSX-R 1000. 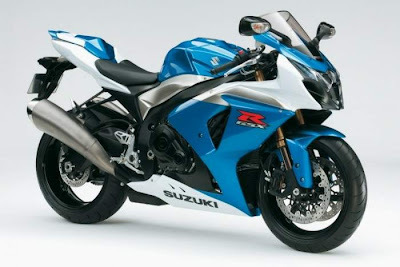 The main focus for the 2009 Suzuki GSX-R, is the re-designed engine which aims at maximizing combustion efficiency with more torque and power across various rpm range which ultimately improves the throttle response and reduces exhaust emissions. 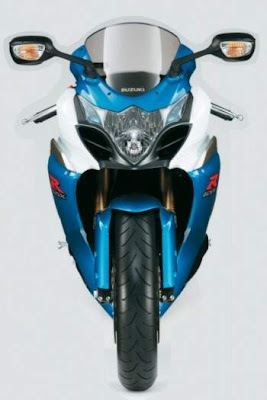 As with most of the new releases for the year 2009, the 2009 Suzuki GSX-R engine is also a tad shorter from front to rear allowing engineers to shorten the wheelbase and stretch the swing arm for better traction on the race track. By re-designing the combustion chamber, the Suzuki engineers have been to increase the compression to 12.8:1 as compared to 12.5:1 previously. As seen in the 2009 Yamaha YZF R1, Suzuki has also provided the "Suzuki Drive Mode Selector (S-DMS)" system to allow the rider to select from three available fuel injection and ignition system maps in order to adjust power delivery to suit personal preference. By using a button located on the left handle bar control module, the rider can instantaneously switch between the three available maps designated as A, B and C on the instrumentation panel. 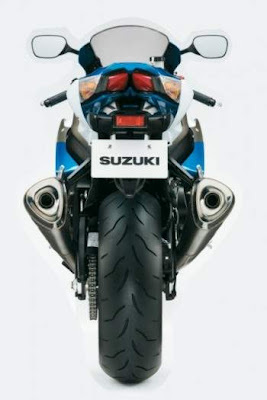 The Head Lamp and the Tail instrumentation of the GS 150 are definitely inspired!! The new aluminium alloy swing arm is constructed using just three castings and is arched to make room for the dual titanium mufflers to the attached tightly on each side of the bike. The Steering Damper is electronically controlled by the ECM which monitors the motorcycle speed and adjust to the required damping force. The bike also features fully floating 310mm drilled discs with radial mount race proven mono-block forged aluminium alloy front brake callipers. The new sculpted fuel tank is now lighter but maintains it's 17.5l capacity. The multi-reflector head light incorporates a new look and with vertically mounted high and low beam halogen lamps placed centrally between position lights on each side. The rear indicators and brake LED are integrated with the seat cowls. The all new instrumentation cluster is centred around an analog tachometer framed by an elegant silver finish ring with an adjacent digital speedometer. The instrumentation panel now also features a programmable engine RPM indicator system marked by four LEDs. The color combination is pretty cool!! Even though the improvements in the engine are nothing revolutionary (like the 2009 Yamaha YZF R1 has cross-plane engine firing), and there are chances that it faces tough competition from the likes of 2009 Aprilia RSV4, but still the 2009 Suzuki GSX-R 1000 is one hell of a racing machine. But for me as a bike enthusiast the bigger question is, are we kid enough that big international bike manufacturers hand us over lolly-pops saying that it's "inspired" from a bigger and more successful machine? I think not!! The Indian market does have the ability to imbibe better technology. In recent times only Yamaha India has shown enthusiasm toward introducing better technology in the country. Guess the other biggies should take some queues from Yamaha India. Yep, Yamaha has definitely shown in 2008 how to push the envelope in India.. 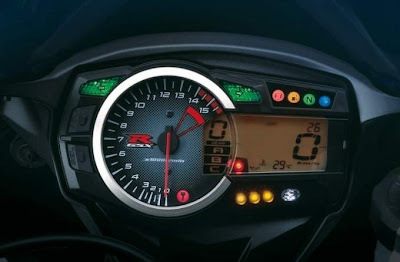 I somehow feel that we might see the "mode selector" thingy sooner in some desi avatar in some of our desi bikes soon. I really pray for the technological assent in our Indian bikes. Even if the bike manufacturers go for small bikes, but still they can integrate high end technology in the bikes. But till now, we are just being played with by being offered only looks, stickers and decals in the name of "Sporty Bikes"